Block molding machine is the core equipment of hollow block, concrete block, cement block, paver block molding production line, which is applied to forming raw material into various block patterns, such as hollow blocks, curbstone blocks, lawn stone blocks, roof gutter blocks, asmolen blocks, paving blocks. Beyazli Group is a qualified block molding machine manufacturer company in Trabzon turkey. We always give priority to developing excellent block molding machine. With years of experience, we have developed a professional design team and technical team with top-level talents. In return, our products have been installed in more than 20 countries with high recognition. The design of block molds are matters the quality and shape of blocks produced. In general, there are three kinds of block molding machine, manual block molding machine , semi-automatic block molding machine and automatic block molding machine. Our company can manufacture all type of block molding machines with various designs and specifications. 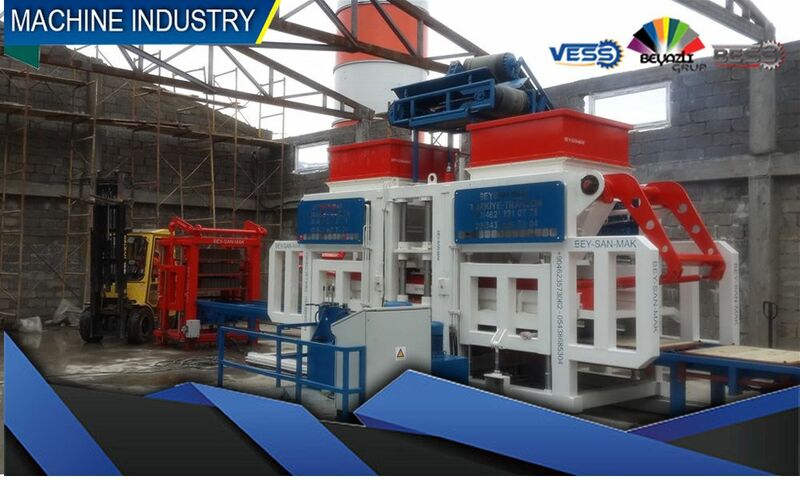 In terms of manual block molding machine are known as laying block making machine ore egg laying block machine. Manual block molding machine are portable machines they can carry easily they can only produce different type of hollow block, these type of machine are very easy to use and install. For those who are new in block making business this manual block molding machine or manual block molding machine is suitable for small-scale manufacturers, which need low cost of investment. Its production ranges from 2200 pieces of hollow block to 3750 pieces in 8-hour shift. Moreover. Only three to six workers are needed for the assembly line. This machine is made like a mortar plant. This machine is designed to work 24 hours. This machine has a different automation and capacity system. Comparing to manual system this machine is very fast and has high production capacity. 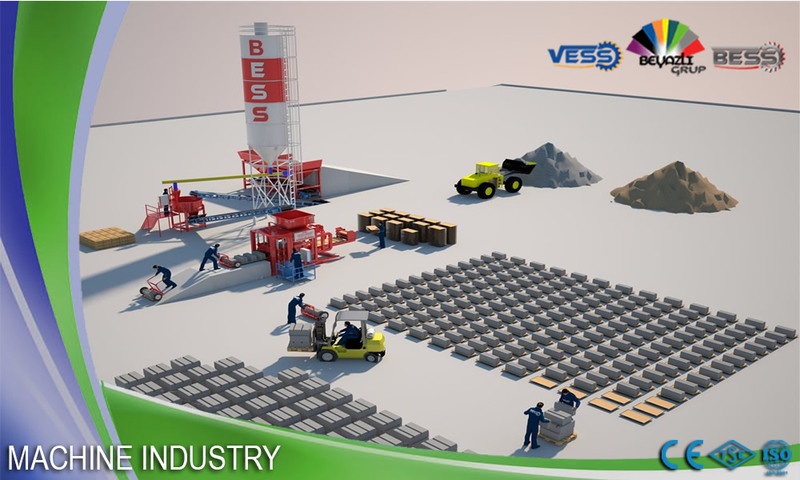 Only by changing the mold, this machine can produce any types of concrete paving blocks - hollow blocks - insulated bricks – different curbstones – asmolen and chimney blocks which height must be between 5cm and 25 cm. Equipment list with prices, prepared related to the installation layout is given below. Daily capacity (8 hours) 4.000 pieces’ concrete hollow blocks / 300 m² paving blocks…this machine is highly demanded in market because it can produce both paving block and hollow block with differ patterns. Due to the higher automation, the collecting produced block is by hand and 4 workers are enough in producing line. The series is the best option for mass production. The price of this machine is change according to daily capacity. As this machine is manufacturing with different capacity system which start from 4000 to 10000-piece hollow blocks production in 8 hours. Is designed to work 24 hours this machine is very fast and has higher production capacity, the function of this machine is automatic no need to carry the produced blocks by hand. This machine also can produce any types of concrete paving blocks - hollow blocks - insulated bricks – different curbstones – asmolen and chimney blocks which height must be between 5cm and 25 cm. Daily capacity (8 hours) 4.050 pieces’ concrete hollow blocks / 350 m² paving blocks…. Automatic block molding machine are used for higher block production demands and the price of this machine changing according to daily capacity. Beyazli Group tries to improve the performance and quality of our block molding machine constantly. Meanwhile, we commit to offering a complete block molding system to accommodate a full variety of sizes and designs. What you need do only is to tell us your requirements. We’ll design as per your requirement. we recently have installed our block molding machine in Saudi Arabia, South Africa, Algeria, Oman, Morocco, Georgia, Azerbaijan, Turkey, Turkmenistan, Libya and Egypt.